Hello! 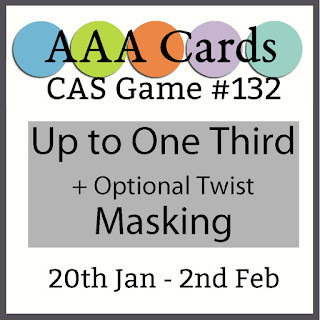 It is time for a new challenge at AAA Cards - Use up to One Third of the card. This challenge is one of my favorites because it makes it really easy to keep to a CAS design. For my card, I used both the challenge and the optional twist of masking. I love to read so when I saw this stamp set I knew I wanted it. 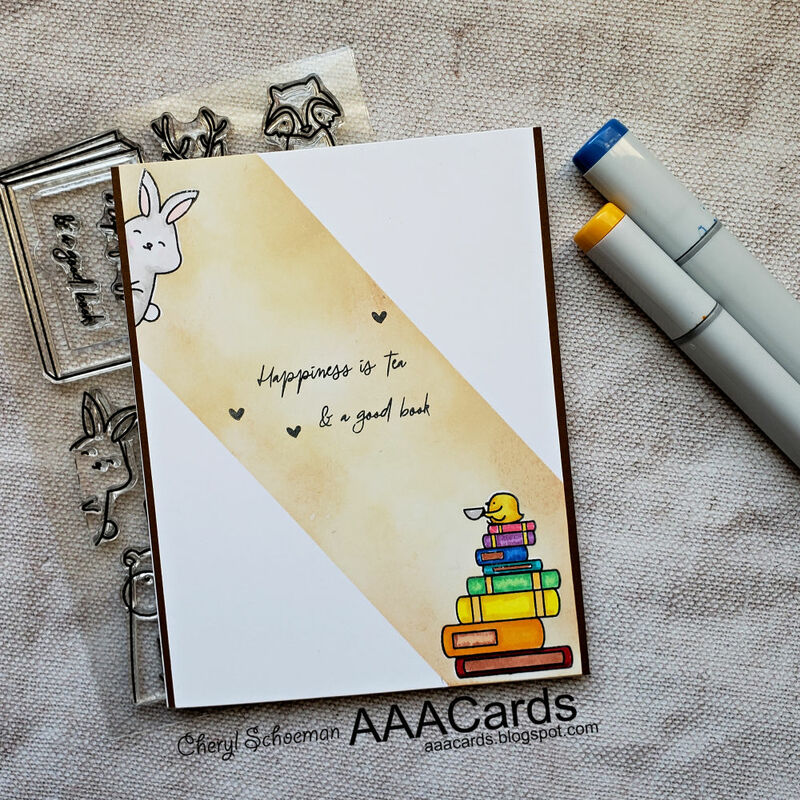 To start my card, I stamped the bunny in the top corner and the pile of books in the lower corner and colored them in with copics. Then I stamped the sentiment in the middle. In retrospect, I should have waited to stamp the sentiment until after I added my diagonal strip to make sure it was centered. To mask my stamped areas, I fussy cut post it notes to cover my images. I measured out the sides of my panel into thirds and used masking tape to cover the outer corners so I could blend distress inks over the inside. Once I finished that, I realized my sentiment was a little off center. There is a really cute little heart stamp in the set so I added a few around the words to fill in some of the empty space. I trimmed down the sides slightly and added it to brown cardstock and then added the whole to a A2 card. Wow Cheryl.. I had to come immediately to tell you what a cool take it is! Love your design and the placement of your cute critters, too. Brilliant use of one third, reminds me of a spotlight beam. Fantastic card. Oh I love how you did this card!! So creative!! Fantastic job of masking. I love the CAS style and to me, it feels like a streak of sunlight opening up reading to the world. So glad you joined us at A2Z Scrapbooking. How cute is this? 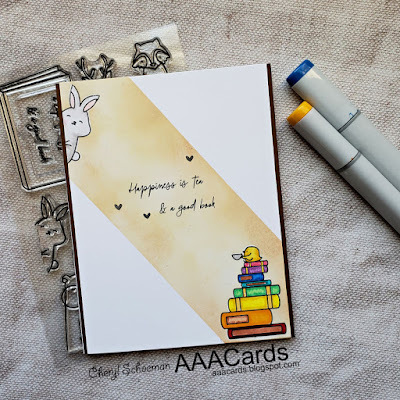 I love the way you created a border and popped the bunny on the side! Cute!!! Super cute card!! Thanks for joining in the fun with us at a2z.